Anchor dresses offer a subtle yet beautiful connection to the sea and beach. They are fun, casual attires for every occasion and are special in their own rights. 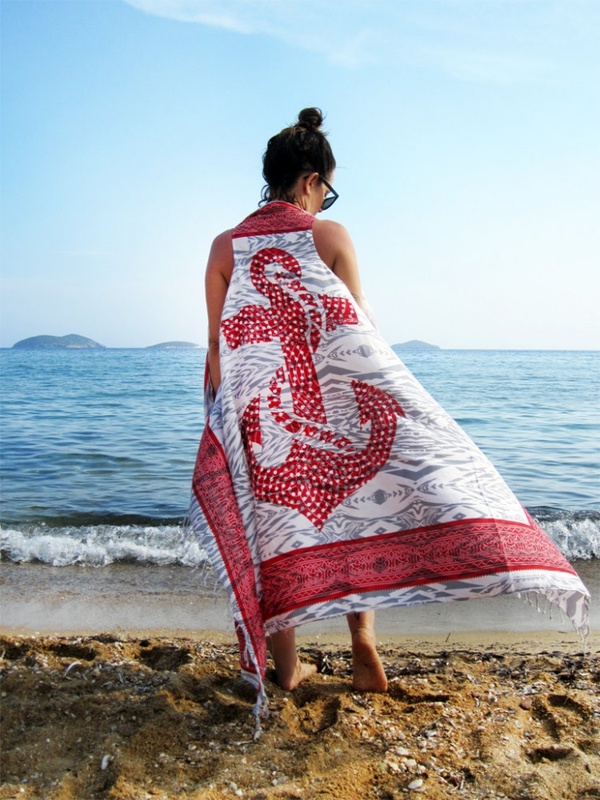 Anchor designs are found on various outfits, including shirts, pin up dresses and beach wedding dresses. This popular trend is all about making a strong style statement. Have a look at the designs and choose your favorite. Here are 16 beautiful anchor dress designs that deserve attention. 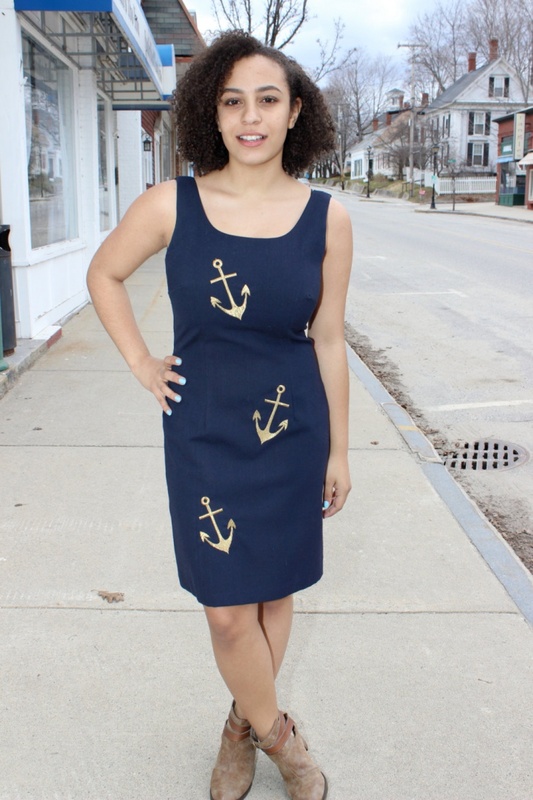 This navy blue vintage anchor dress features three metallic gold embroidered anchors. The fully lined dress has a fitted construction and zips up the back. Wear this dress to a dinner date or a wedding reception. Follow the link to purchase. 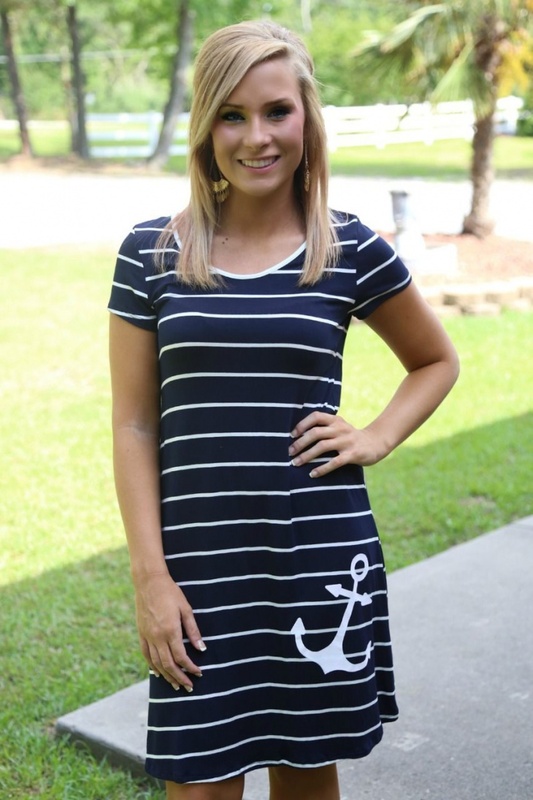 This striped anchor dress features white stripes and a white anchor. This casual short dress makes for a great outfit to the beach. The anchor design makes this simple dress stunning and beautiful. Click the link to find out more. 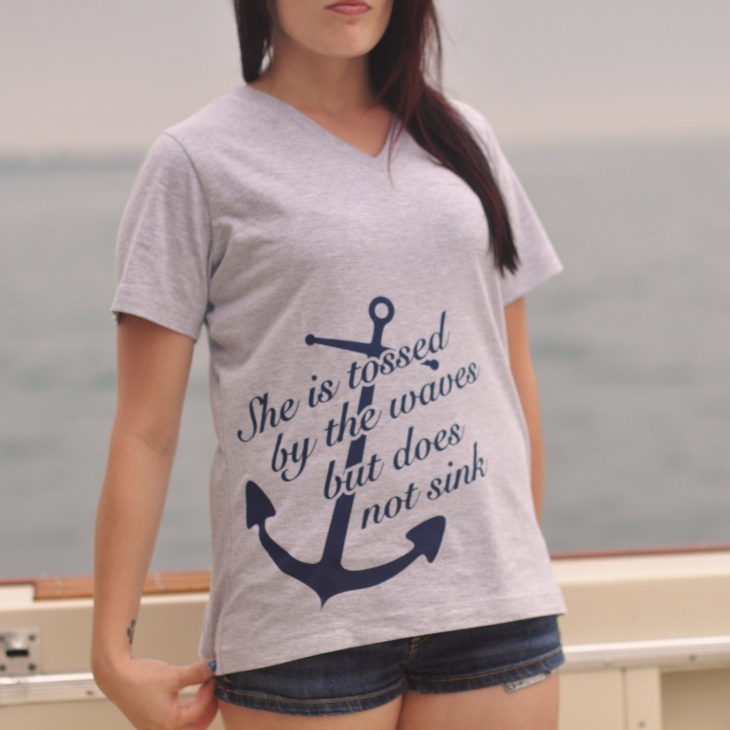 This anchor shirt design for women features an anchor with the words “She is tossed by the waves but does not sink.” This combined ringspun cotton jersey has a rib V-neck collar and taped neck. Follow the link to learn more. 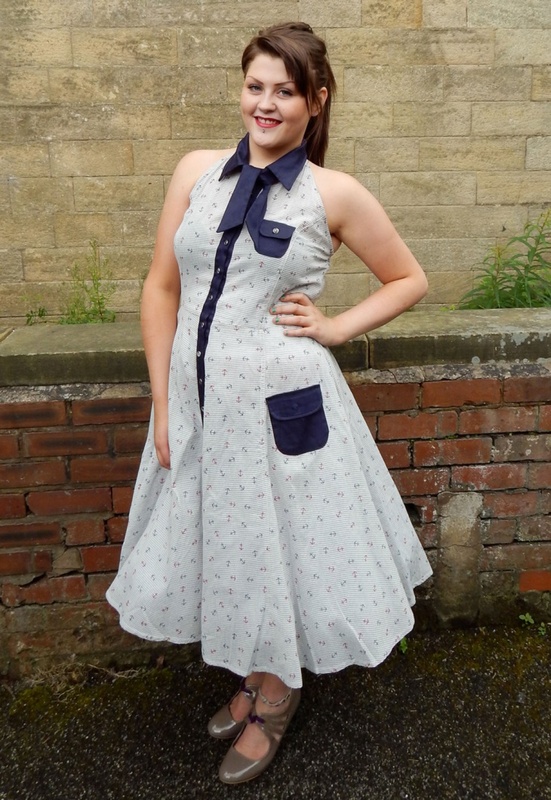 This anchor pin up dress has a vintage nautical theme. The dress features a V-neckline, fitted bodice and a 1950s style flared skirt. This classy and stylish dress is fit for prom or casual evening. Visit the link to purchase. This anchor mini dress features a round neck and shoulder tabs. This sleeveless, thigh-length dress is perfect for the summer. The cotton dress has an anchor design at the chest. Click the link to take a closer look. This cool anchor dress features heart and anchor shapes. With a collared neckline and short sleeves, this cool dress is great for all good times and special occasions. The cotton/spandex dress is fully lined. Follow the link to know more. 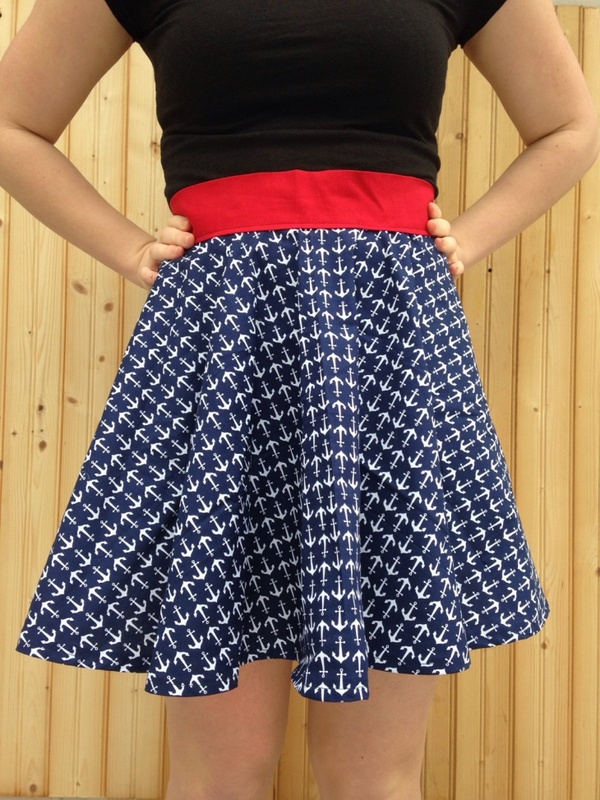 This nautical dress design highlights the nautical theme with small anchors spread across the dress. 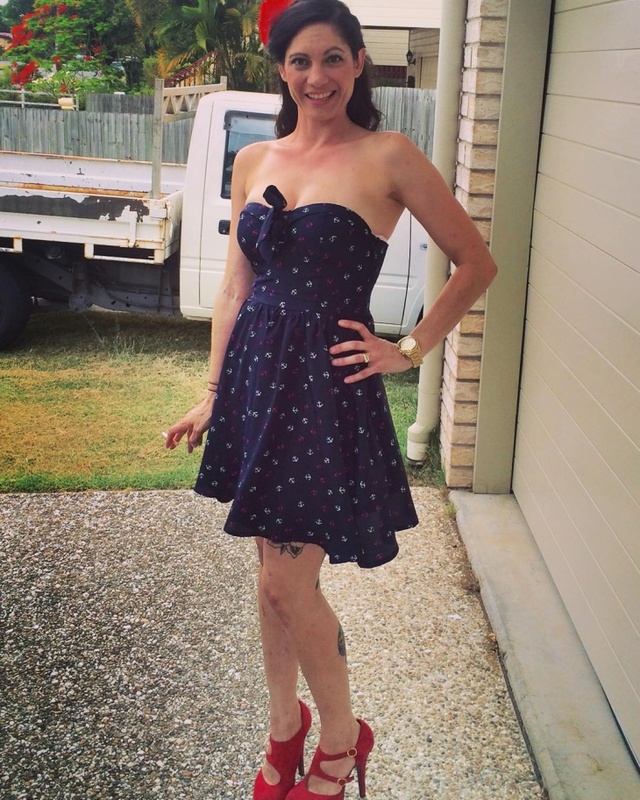 This beautiful anchor dress is a great option for a party, prom or a sunny day out. Visit the link to learn more. 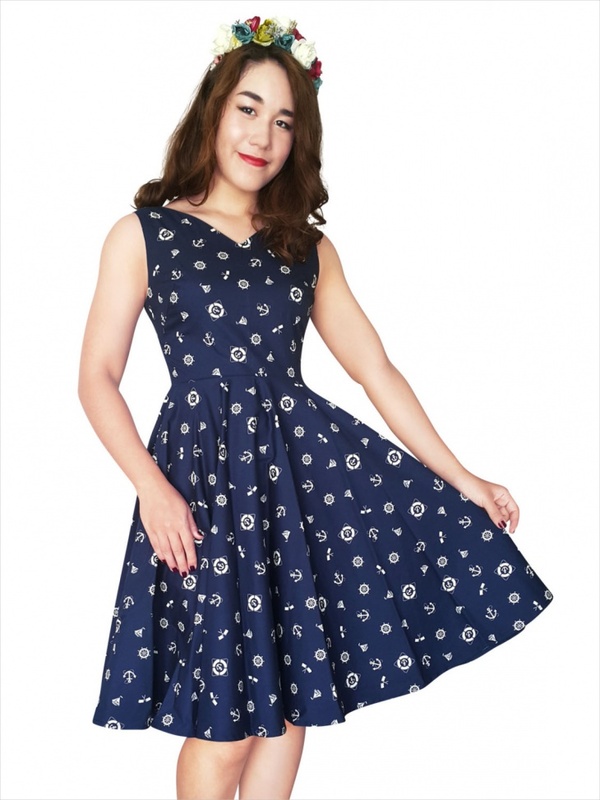 This navy blue anchor dress features small white anchor shapes in a vertical orientation. This casual dress is simple and stylish, and perfect for almost any occasion. Click the link to find out more. This black and white anchor dress features seamless sides, small sleeves, and a loose fit. 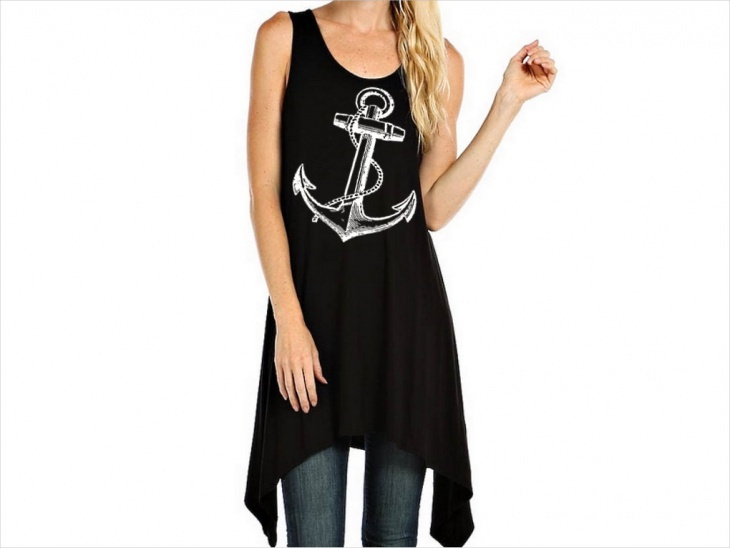 Made from soft and pleasant fabric, this anchor dress is comfortable and best for summers. Follow the link to get for yourself. Impressed by the variety of designs! 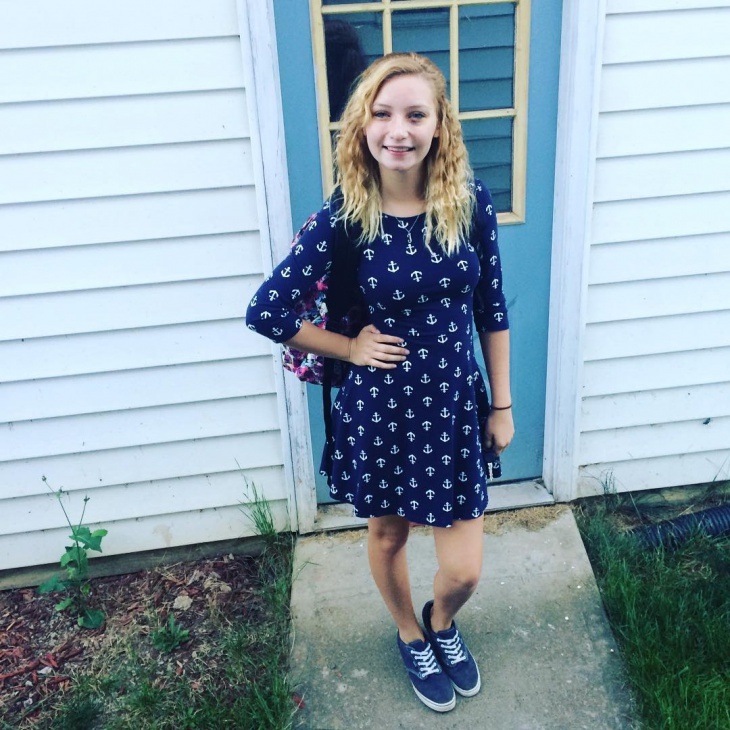 These were some gorgeous anchor dress designs that are definitely worth a try. There are several options, from a ribbon dress to a suede dress. You can also go for a bold dress to make a stunning impression. Happy shopping!